Frocks? Yes! Frocks Tees? Hell yeah! A great gift for the Frocker, the Frock supporter or the would-be Frocker in your life – or for yourself! 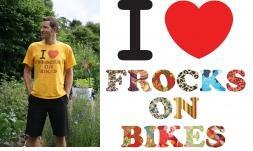 In response to overwhelming demand, Frocks On Bikes has two awesome designs available! To the left – the funky original, modelled by Matt. 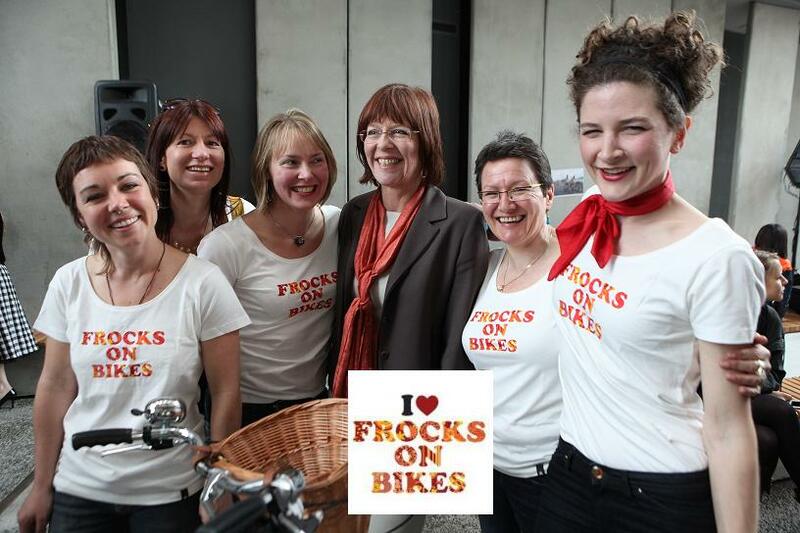 Frocks in the Tshirt, with Welly's first frockin' Mayor! And to the right, the new and improved version – modelled by Frocks (with our frockin’ Mayor). The New T is redesigned by Sandra Beltman and made by fantastic Wellington Tshirter KowTow – gorgeous organic fairtrade cotton – super-nice to wear and a steal at $40. Order yours quick-o! We still have some Originals available, and all sizes of the New T.